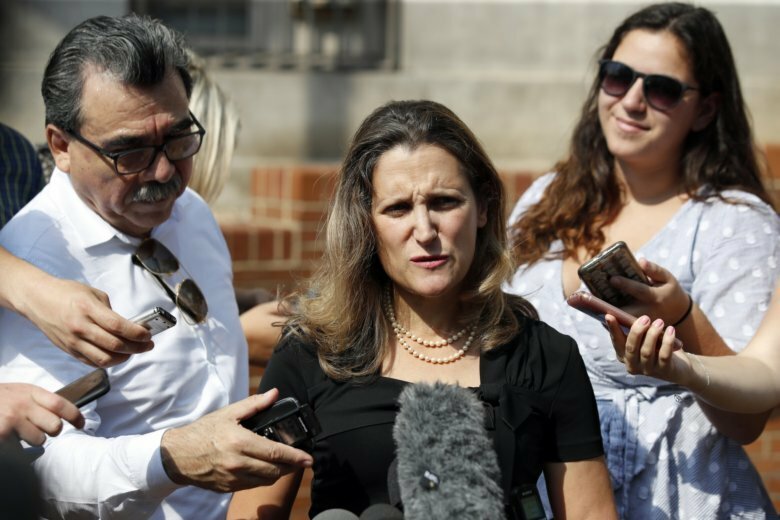 After her second meeting of the day with U.S. Trade Rep. Robert Lighthizer, Canada’s Minister of Foreign Affairs Chrystia Freeland told reporters they plan to keep talking on Thursday. “Our officials now have more work to do and will continue to work this evening. Ambassador Lighthizer and I agreed to meet again tomorrow,” she said Wednesday evening. President Donald Trump began negotiations last year to revamp the North American Free Trade Agreement with Canada and Mexico.